BHOPAL had a fabulous opening night. A great theatre, a sold-out hall, music, dance and a crackling, intense drama. It was a full house and the energy flowing in the packed hall just took the show to a different level. Thank you - those of you who braved the weather to come for our opening night. You were the best audience we could have hoped for! If you liked the show, please tell your friends about it. The audience loved BHOPAL! Those of you who came to our first show - thank you for the high praise. Thank you for the scores of emails, phone calls, texts and FaceBook posts. There are still three shows remaining. You don't want to miss this play! Get your tickets now! "I enjoyed the play greatly. Kudos to BAD Company for presenting a story of grief, poverty and capitalism so gracefully. This was an extremely moving production. It was also refreshing to see strong female characters. Would definitely recommend watching it." "Thoroughly enjoyed the play 'Bhopal' last evening. Great screenplay and excellent performances." "Heartfelt Congratulations BAD team for your debut performance on the anniversary of the Bhopal tragedy. There are many still seeking justice - and there are multiple villains in this story....Not just Anderson and Carbide. Our corrupt government too. Moving performances by all. I liked how in the end Madiha, Izzat and Sonya- separated by socio-eco class, creed and religion finally came together in death and destruction as that indeed does not discriminate. Break legs for the rest of the shows." "Great work....each and everyone in the cast (and crew) of Bhopal. You fit your roles perfectly and enacted the play skillfully. Congratulations to all of you!" "To the entire BAD Company team, fabulous show last night. I came in with no expectations and walked out blown away by the sheer awesomeness. To take an extremely challenging and heavy subject and deliver the message without making it too preachy or depressing was fantastic. Bhopal is in our memories and vividly so, thanks to this well acted play. This play definitely deserves a large audience which I hope you get on the 13th and 14th." 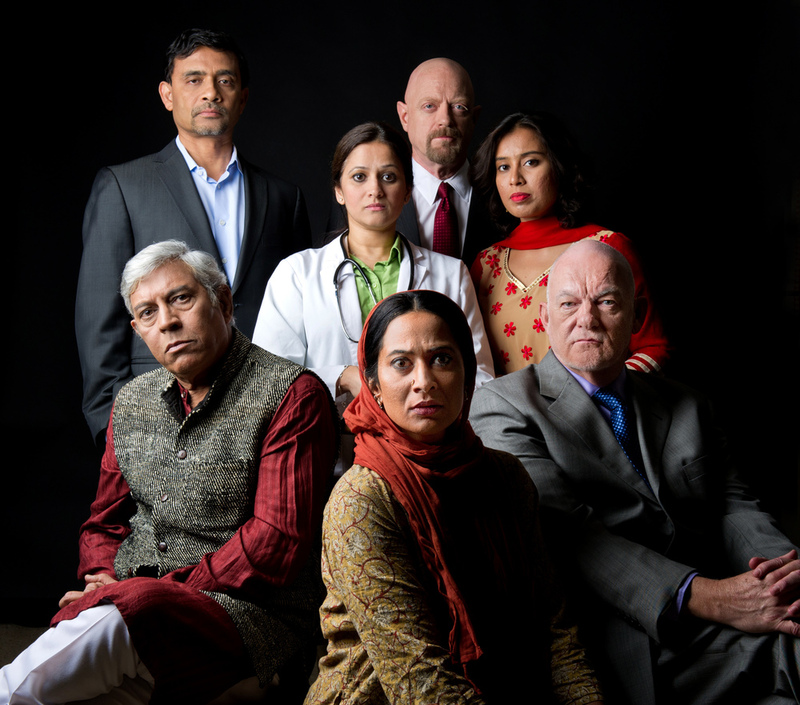 "I watched the sold-out play 'Bhopal' last night and it's a MUST SEE! Terrific story/acting/performances..3 shows left Dec. 13th and 14th. Don't miss it!" "Special evening, talented cast, wonderful acting.... not to be missed!!" "It was a terrific performance by every actor. The show was completely engaging. It told the story in it’s true meaning. How poverty impacts people. The song was beautifully sung and it pierced through the heart. Thanks for bringing a true happening to life." "Good to see the community turn out in great numbers to support a new theater company. Great job by Bay Area Drama Company in its debut production, playing to a sold out crowd. A painful reminder, 'Bhopal' takes you face to face with corporate and human greed and unscrupulousness, treacherous forces at work finally exploding on the disastrous night. As you can see, 30 years after the scars are still not healed.. will never perhaps."